CO2 is a Carbon Dioxide laser that has been used for more than 25 years in the Aesthetic Industry for treatment of skin conditions such as fine and coarse wrinkles, scars of various origin, uneven pigmentation and dilated pores. When CO2 beam of light comes in contact with the epidermis it heats and vaporizes the skin tissue, instantly removing the superficial layers of the skin, scars and wrinkles while smoothing out the surface of the skin. 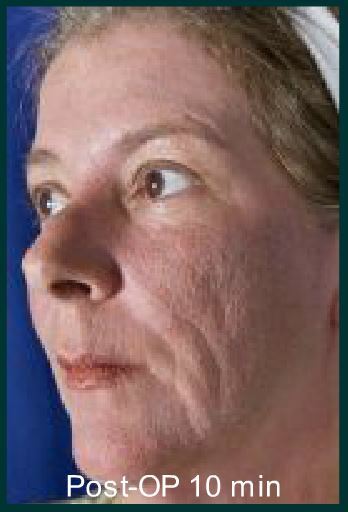 This skin remodeling occurs with new skin and collagen growth. Fractional Skin Resurfacing is a Revolutionary Delivery System that increases the possibilities for busy people who want healthy, younger looking skin with minimal pain in a short period of time. The MiXto combines the benefits of a CO2 laser with a micro spot size of 300 microns that can treat 20-100% of the scanned area. Using a computerized pattern generator and a new scanning algorithm, thermal heat is dispersed within the epidermis while evenly treating damaged areas. This particular algorithm dramatically reduces pain, the need for anesthesia, and recovery time. 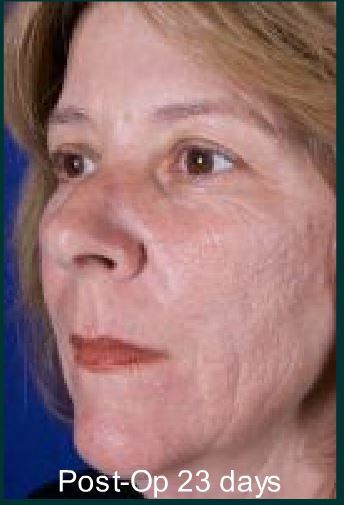 Single treatments can show a significant improvement in skin texture and color. 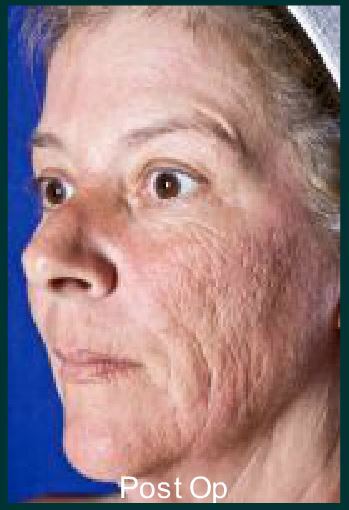 Erythema (redness of skin); The laser-treated areas have a distinctive redness representing increased blood flow due to the growth of the superficial tissue and collagen. It will gradually fade during the first two days. Inflammation (swelling); Treatment with the MiXto System presents a minimal amount of swelling that can last up to 24 hours. 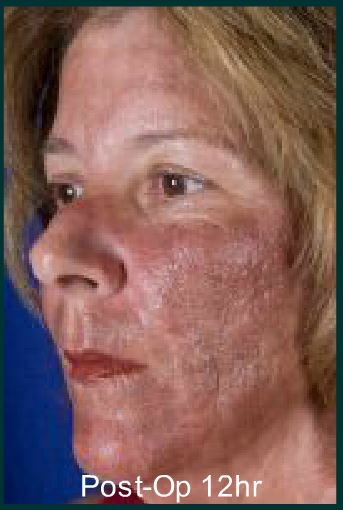 Hyperpigmentation (tanning); this is presented after the third day of the procedure but then begins to shed and reveal younger healthy looking skin. A personal interview and clinical examination will be conducted to obtain relevant facts about your medical and dermatologic history, and any medications you are currently taking or have taken in the recent past. If you are prone to cold sores, you need to ask your doctor for an antivirus prescription before the treatment. Fractional Treatment with the MiXto SX has been proven safe for the face, neck, chest and hands. 1. You will experience a burning sensation on the skin that will last between 30 minutes and 3 hours on up to the first day. 2. If you have discomfort following the treatment, take Tylenol or ask for a pain –killer prescribed by the doctor ( i.e. Vicodin or Lortab). Take with food. 3. Treatment to the Facial Area will result in an appearance similar to a darker tan/ sunburn for the first day. A fine scab will be formed by the skin do not be concerned, this promotes the healing process. 4. 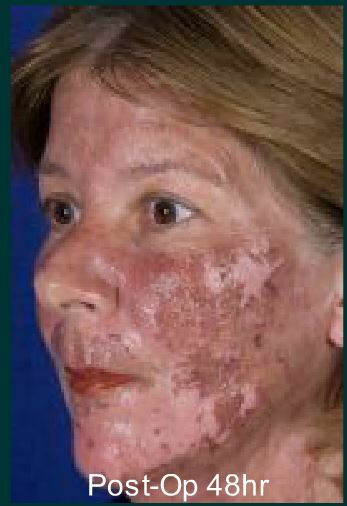 Redness may persist up to 2 days. At this point, makeup can be applied. 3-4- Days your face will get darker, and then near the 5th day peel. More intense treatments can take up to 7 days for recovery. 5. Wash using a mild soap purpose like Neutrogena or a soap-free cleanser like Cetaphil. 6. Wash the treatment area everyday and apply Z-Calm or Aquaphor Ointment to the treated sites and lips 4 times a day. Avoid Hot Water. help to decrease dryness of your eyes. 8. 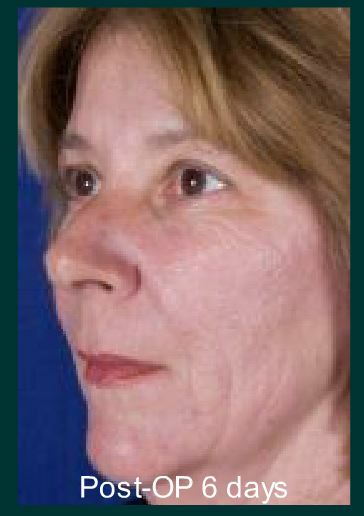 If the skin around the mouth is tight, minimize facial expressions. 9. Rest. Avoid strenuous exercise, bending, straining, stooping or lifting heavy objects for 3 days after procedure. These activities may cause swelling and pain on your face and slow down your recovery. 10. Sleep with your face elevated above your heart for the first day after the procedure. 12. At the time of scheduling the laser procedure, please schedule your follow-up appointment for 1 week after the procedure.